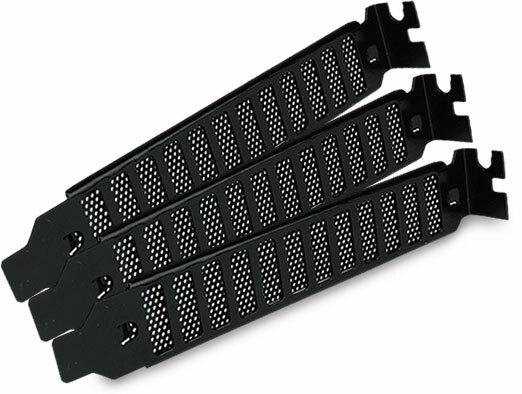 If you are looking to increase the ventilation in your system then these Gelid PCI brackets could be just what you are looking for. They are designed to be installed in any unused PCI slots and they have a pressed steel design incorporating 12 Air Slots and backed with a fine, removable mesh to let air pass through easily while preventing dust from getting through. Each pack contains three blanking plates. Excellent product, well packaged and solidly built.